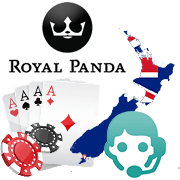 Royal Panda Casino Review 2019 - Get NZ$100 Free! 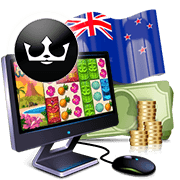 Royal Panda Welcomes players from New Zealand Royal Panda Casino has become one of the best online casinos in New Zealand and it did so with the help of an awesome selection of pokies and other games provided by top industry developers, like NetEnt and Microgaming. Most online casinos in New Zealand only use one or a couple of software providers. While this is in no way a bad thing, it does limit the actual variety of the available games, especially in the pokies department. This is why Royal Panda has taken a different approach since it launched in 2014. Now, some of the best developers in the industry are featured with their best games on the website and players can simply choose which options they want to play for real money. In addition to the impressive collection, Royal Panda Casino also stands out in other important aspects. The website looks great and it is very easy to browse, while the operator is licensed by UK Gambling Commission and by the Malta Gaming Authority. Comodo guarantees that security is not an issue when on the site and this applies to real cash banking transactions as well, which can be made through multiple methods. New players can get a $100 welcome bonus as an additional incentive to join today. Claim your bonus of up to NZ$100 at Royal Panda! Joining is free and it doesn’t take long either. Go to Royal Panda Casino from the links provided and you will find a registration form for becoming a member. Account information includes a security question for extra safety and New Zealand Dollars is one of the options for the account currency. There aren’t a lot of personal details required; only name, date of birth and address to verify the identity and make sure that each customer is of legal gambling age. A downloadable version of the casino is not available. Given the combination of software and games, Royal Panda can only be accessed in instant play, from the internet browser. For easier access, users are recommended to add the site to favourites, or make a direct shortcut on the desktop by dragging and dropping the URL box. The loading times for the games are very fast and playing for free is an option at almost all of the titles. New Zealanders will be able to select their favourite gaming options from a list of over 330 entries displayed on the instant play lobby. To make it easier to browse the many games, Royal Panda has various tabs for the categories but video slots remain the most popular. Top providers like Microgaming and NetEnt are famous for their entertaining creations and the best of them can be found right here. Slots: There are about 270 video slots and the fact that they can be played from the browser makes things even better. Iconic pokies are a common sight on the long list and new titles are added frequently as well. Some of the favourites at Royal Panda Casino NZ are Twin Spin, Emperor of the Sea, Starburst and Pistoleras. Blackjack: The blackjack versions available on the site don’t provide a lot of variety but they do come with amazing looking graphics and HD details. Blackjack Professional Series and Single Deck Blackjack Professional Series make it a pleasure to bet on the cards at any time. Roulette: Some of the roulette games take the little wheel to new levels by adding extra features. For example, Double Ball Roulette uses two balls instead of one, while Multi Wheel Roulette allows players to bet on up to six rounds at the same time. 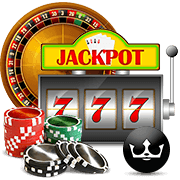 Classics like European Roulette and American Roulette are included here as well. Video Poker: Eight video poker games cover the big options for these popular casino machines. The best looking ones are Jacks or Better Double Up, Deuces Wild Double Up and All American Double Up. As an extra betting function, each of these games allows users to double their winnings after a successful hand. Live Dealer Games: The rich live casino available at Royal Panda is recommended for fans of roulette, blackjack, poker, baccarat and casino hold'em. With the help of the professionally trained dealers, the casino games provide a unique online experience. The mobile casino keeps the instant play trend going and this makes it accessible for users on devices like Samsung Galaxy, Apple iPhone, BlackBerry, HTC, OnePlus and more. In fact, Royal Panda Mobile Casino has a dedicated mobile website for smartphones that has more than 220 games currently. Tablet users will have access to the regular website but also benefit from the optimized mobile games. If you are already browsing the Royal Panda website on your computer, you will find a QR code on the mobile page which can be scanned with a smartphone to instantly load the site. Another option to connect is to just follow the links provided here and select Join Now to create an account. The mobile website is very similar and players can still make deposits and withdrawals from the account without having to use a desktop computer. Royal Panda Casino doesn’t quite live up to the expectations of a top casino when it comes to the welcome bonus. A 100% bonus up to $100 is not that bad but is also much lower than what some of the other gaming sites in New Zealand are offering. To make things better, the wagering requirement is also lower than usual and it is pretty easy to bet the bonus 35 times within 90 days before withdrawing winnings from the Royal Panda account. For fulfilling the wagering requirements on the bonus, bets from the cash balance need to be placed on the games. Slots, scratch cards and soft games count 100%, while table games, video poker and live games only count for 10% of the bets. 10 free spins are offered as a registration bonus, before even making the first deposit. These can be used to play the famous online slots game Starburst. Additional bonuses are available every week as the operator offers a 50% reload bonus up to $150 on Friday. Since Royal Panda is a unique online casino, its loyalty program is also unique. Players are entered on the bronze level of the Loyal Panda program when they make their first bet and can advance to the other three levels by earning LP Points from real money bets. Earned points are also used for buying benefits from the shop and frequent customers can unlock nice devices, like iPhones and iPads. Some of the more accessible rewards are free spins on certain slots games. Royal Panda provides plenty of information on the website through its FAQs and guides. Users who want to talk to someone from the customer support staff can send a message by email, use live chat or call the listed number. Opening hours are from 09:00 to 00:30 CET, which means a schedule from 19:00 to 10:30 UTC+12 for New Zealanders. If the service is not online, the recommended solution is to leave a message and the team will respond as quickly as possible. Not only is Royal Panda Casino licensed in Malta but it also has a license from the UK Gambling Commission. Although this doesn’t apply to New Zealand, it does show that the operator is reliable and follows the strictest regulations for real money online gambling in the industry. The cashier is pretty good at Royal Panda Casino and not only does it allow for instant deposits with 0% fees, but it also makes sure that customers can easily cash out. Tens of banking methods are listed on the website and they include the big ones, such as Visa, Skrill, MasterCard, NETELLER, Paysafecard and AstroPay. Minimum deposits are of $10 and the max depends on the banking method, going up to $15,000 for most of the options. Security is also not an issue since the casino uses secure servers for processing all transactions. Withdrawals will take 1-5 days for cards and bank transfers but Skrill and NETELLER are instant. Again, no fees are taken by the online casino for payouts and withdrawals can reach $100,000 to make it very simple for big winners to enjoy their prizes. Additional information for each banking option is provided on the site and the cashier is also very user friendly. Even with a few shortcomings, Royal Panda Casino makes a great impression from the review. The support service can use some improvements and have the lines open around the clock since the schedule is not quite friendly to players from different corners of the world. Also, the $100 welcome bonus is not really turning a lot of heads, although it is useful with its low requirements. Where the casino really makes a name for itself is in the video slots department. Bringing Microgaming, NetEnt and other developers together is always a good recipe for success and gamblers from New Zealand will find hundreds of the best online pokies they can ask for. And the fun doesn’t stop there since Royal Panda has table games, exclusive live casino games, soft games, video poker and more. It is licensed and verified and definitely recommended for a good time.